Team Ico’s work was the stuff of legend on the PlayStation 2. Ico was a landmark puzzle-adventure game and one of the best and boldest entries in that genre since Prince of Persia. 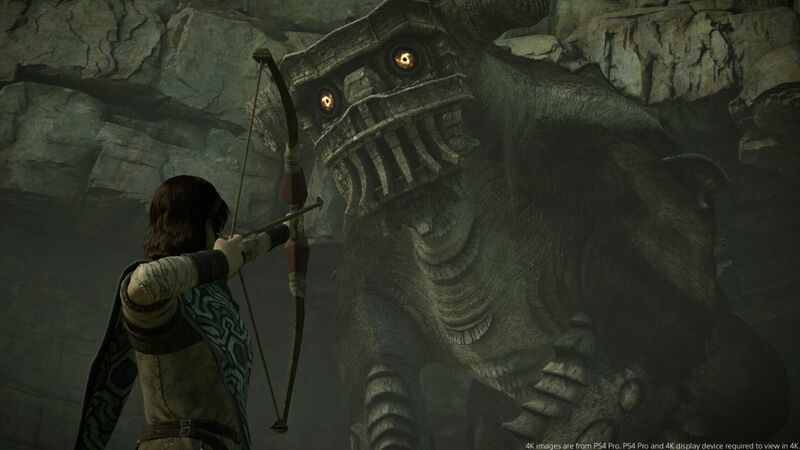 The game was always rumored to have a successor named Wander – which wound up as Shadow of the Colossus, starring a character named Wander. His tale begins with a horse named Agro, a woman, and a shrine. 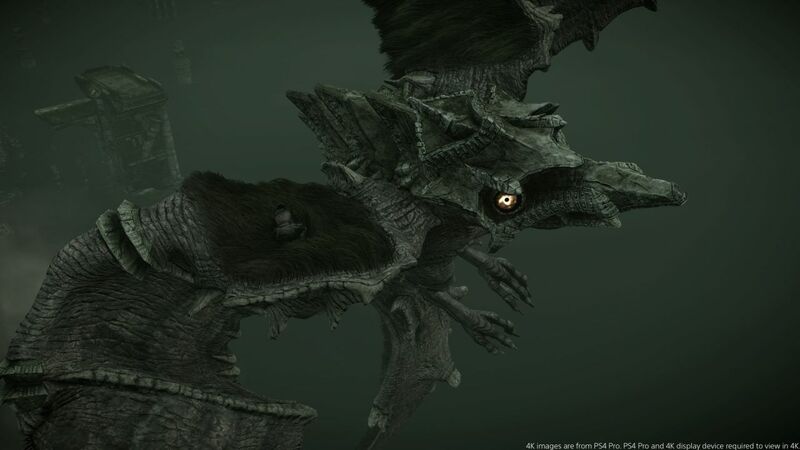 He rides into the shrine with her in tow on the horse and lays her onto a slab before being told by a spirit that he must defeat colossi in order to save her. There isn’t much of a narrative, but this one goal is all Wander needs to set out on his task and embark on one of gaming’s most epic boss rushes. 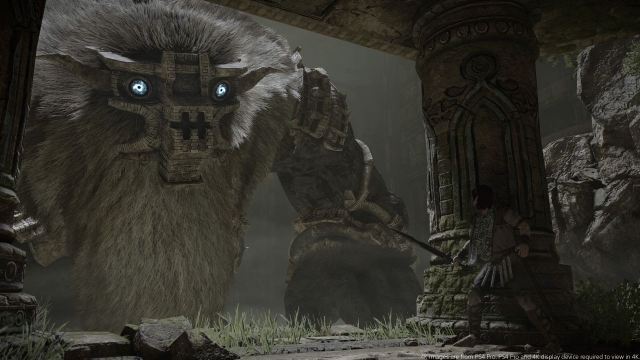 Shadow of the Colossus (SotC) has no regular enemies and is a large-scale boss rush from beginning to end. Beyond having to solve the riddles behind how to defeat them, you also have to search the world to find them. By lifting your sword high in the air, you can get a signal of light as to the rough location to go and then venture out to do battle. 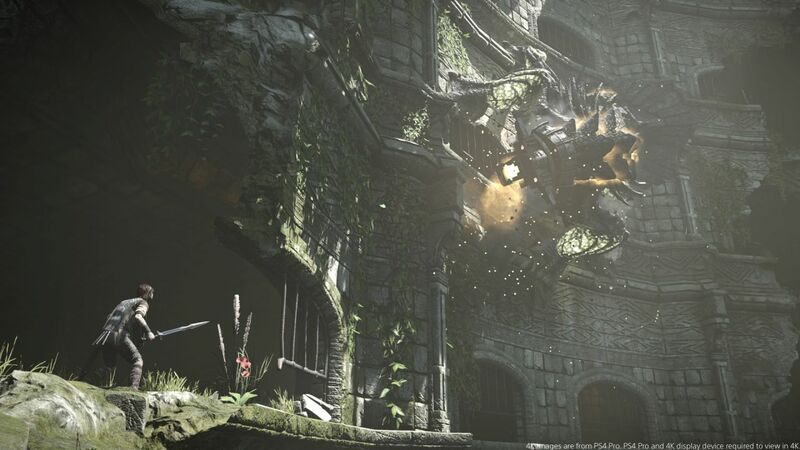 This turns the game from exploration into a mixture of puzzle, platforming, and pure combat with some resource management thrown in for good measure. Beyond a life gauge, you also have to keep an eye on how much you’re exerting yourself. Gripping the sides or climbable parts of a colossi allows you to move up it – but at a cost. You will wear yourself out if you overexert yourself and go crashing down possibly to your death if you aren’t careful. 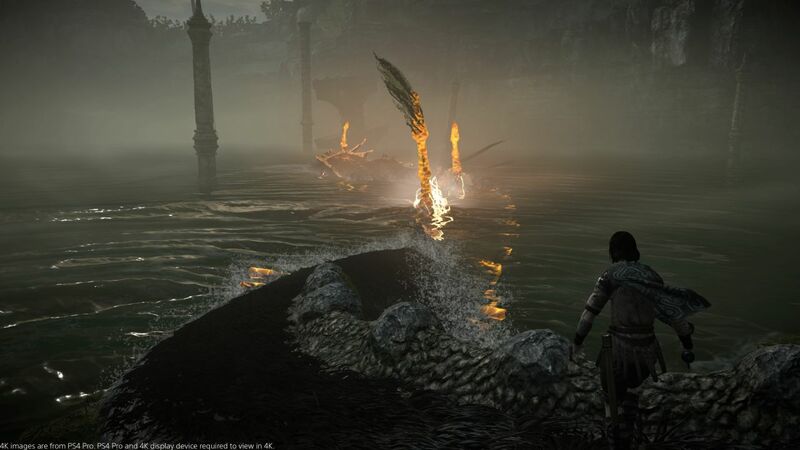 Each colossi has its own strength and weaknesses and strategies to not only defeat, but simply find. While your sword may guide you in the general direction, you will have to traverse the land above (and perhaps below) to find your rivals. This leads to a mixture of exploring the world, platforming a bit, and wisely using things like your bow and arrow to draw a colossi from far away closer to you. This of course means that you’re putting yourself in harm’s way – but that’s part of the fun. It’s exciting to see them lumber towards you or soar above and realize that you now have this behemoth that needs to be toppled and can do massive damage to you in a hurry if they need to. The core game is essentially a never-ending David vs. Goliath affair and the large scale of the battles lends itself well to a narrative that always makes you feel underpowered. Wander is physically quite small and doesn’t carry a Cloud Strife-level sword. His bow and arrow skills are good enough to annoy and do slight damage, but can’t fell a beast on their own. Cunning is your key to victory and the remake gives you more precision than ever before with not only your movements, but your attacks as well. Wonder now faces the same direction as the camera when aiming his bow – instead of the prior versions moving the camera to match where he was facing. It’s a subtle change, but one that makes aiming a lot easier and aids in finding the colossi via the sword beam as well since it gives you a more realistic view of where things are. Aiming is also now more precise – which is a huge quality of life improvement in a later battle against an enemy where you mainly attack with the arrow from afar. Agro’s controls have also been improved, with it being easier to find an angle to mount him instead of just having to be to his side directly. Being able to mount him while he’s running is also great and keeps the game’s pacing up when you’re in slower moments trying to find where to go. Agro himself can also go in more areas than before and isn’t as restricted to going into areas. Swimming is faster than ever before and his animations are smoother, while the platforming portions are much better thanks to redone ledge-hanging jumps being more akin to what we see now in games like Uncharted and less like the rough draft versions featured before. You can also just use the d-pad to switch between your weapon loadout, making it easier to move from arrow to sword or to pick from a variety of swords if you so desire. The remake tightens the controls up overall and the adventure, as a whole, is far more enjoyable now. Modern-day hardware truly feels like what was needed to fulfill the game’s vision over a decade ago, and further shows just how ahead of its time the concept was. 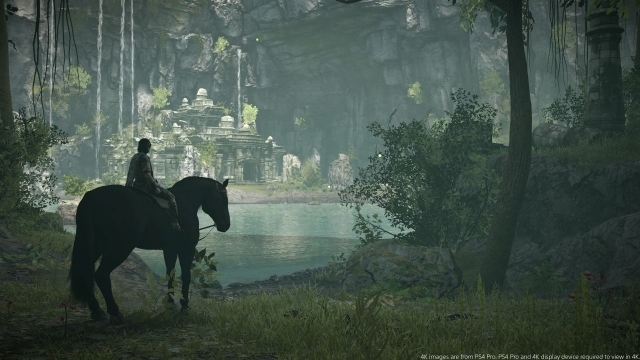 Visually, the Shadow of the Colossus remake rebuilds everything from scratch and it results in one of the best-looking experiences on either a default PS4 or a PS4 Pro. In either situation, you have richer-looking textures on the colossi with things like fur now being noted individually while more lighting effects have been added to enhance the world around you. Some transitional animations have been smoothed out a bit too – making the movement more organic. The dramatic increase in texture quality is the biggest improvement from the prior releases that are immediately noticeable and probably the top reasons that a newcomer to the game will play it. Veteran players will definitely be impressed by the visuals, but probably appreciate the overall control changes more than the graphical update. Fortunately, the audio design of SotC didn’t need much in the way of tinkering – so it’s been left seemingly unchanged from the original. The music is still sweeping and exciting during battles, while serene moments between them are punctuated by Wander’s time with Agro being spent with the horse naying and simply sounding like a horse. It very much feels like a realistic adventure in that sense and small touches like that help the game. The sound effect work was never the greatest ever, but still got across how little damage was done by arrows compared to the sword – even if it didn’t really sound like the sword had much impact that also does make some sense given the sheer size of the beasts it’s being plunged into. Overall, the Shadow of the Colossus remake is the definitive way to experience one of the best adventure games of the past 15 years. On the PS2, it came off like a game that was too ambitious for the hardware. 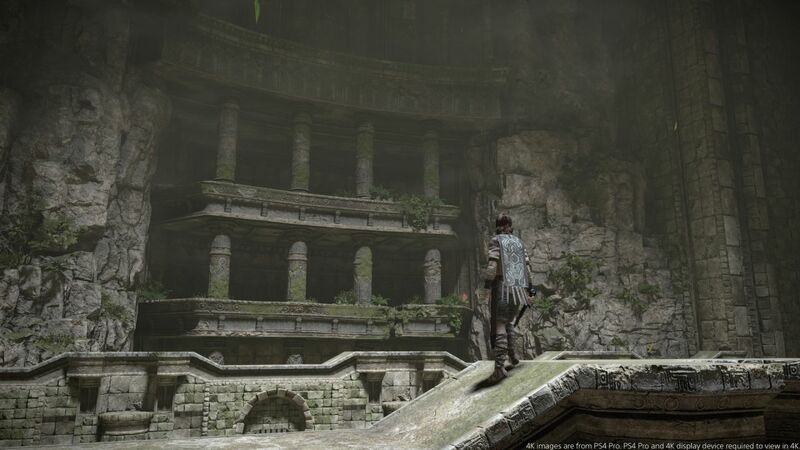 The PS3 version was hamstrung by being too close to the PS2 original for authenticity, while the remake takes the core game’s concept and shows you how it can be done with modern-day hardware. The experience is incredible on both PS4 and PS4 Pro hardware and a must-buy for anyone who always wanted to play the game but didn’t have either the hardware to do it or the time to play it before. 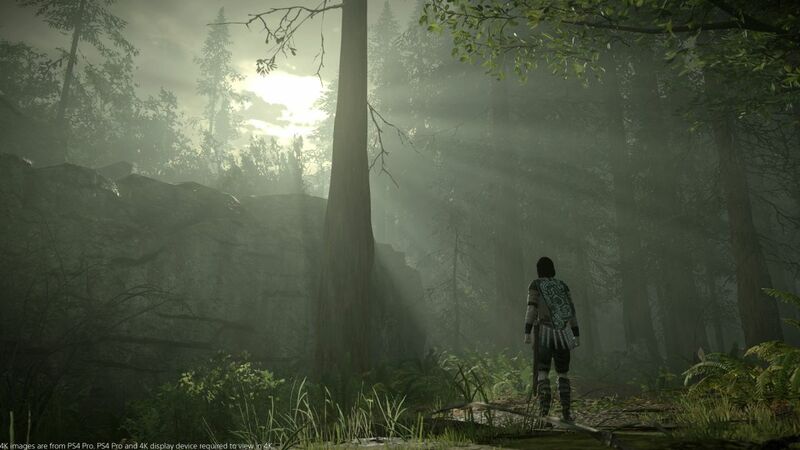 Shadow of the Colossus veterans should check it out so they can play it in the best way possible and see it in all its glory. 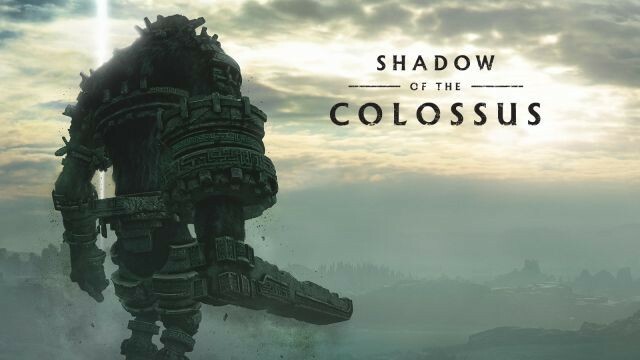 This review is based on a digital copy of Shadow of the Colossus for the PlayStation 4 provided by Sony Interactive Entertainment.